Maintaining the strong pedagogy, abundant student-friendly examples, and engaging conversational style of the previous editions, the sixth edition of this introductory textbook makes technical scientific information accessible to those who are beginning to specialize in cognitive psychology. 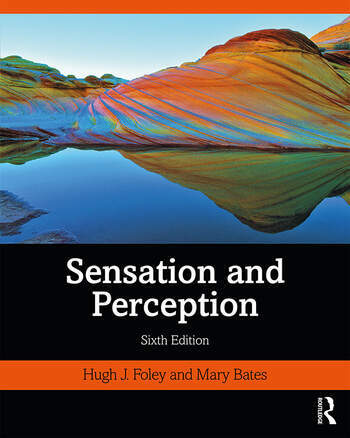 Sensation and Perception, Sixth Edition is newly available in a more affordable paperback version, making it ideal for undergraduate students. In this new edition Bates has built on Foley and Matlin’s core text to add updates focusing on multisensory integration, neural plasticity, and cognitive neuroscience, as well as real-world examples and practical applications of psychological phenomena. The sixth edition retains the clear organization of previous versions, covering a wide range of core topics, from skin senses such as touch to chemical senses such as taste and smell, to our complex visual and auditory sensory systems. This book is essential reading for undergraduates and postgraduates studying courses on sensation and perception. Mary Bates is a science writer based outside Boston, MA. She specializes in writing about the brains and behavior of humans and other animals. She completed her PhD in psychology at Brown University, where she studied bat echolocation. Hugh J. Foley received his BA from St. John Fisher College (1971) and his PhD in Experimental Psychology from Stony Brook University (1985). He taught at Union College and Skidmore College, from which he retired in 2015. He has broad interests in perception, with a focus on psychophysics and object perception.